Skulduggery finishing some buisness. Tanith Lows moto 'Come and have a go if anda think your hard enough. 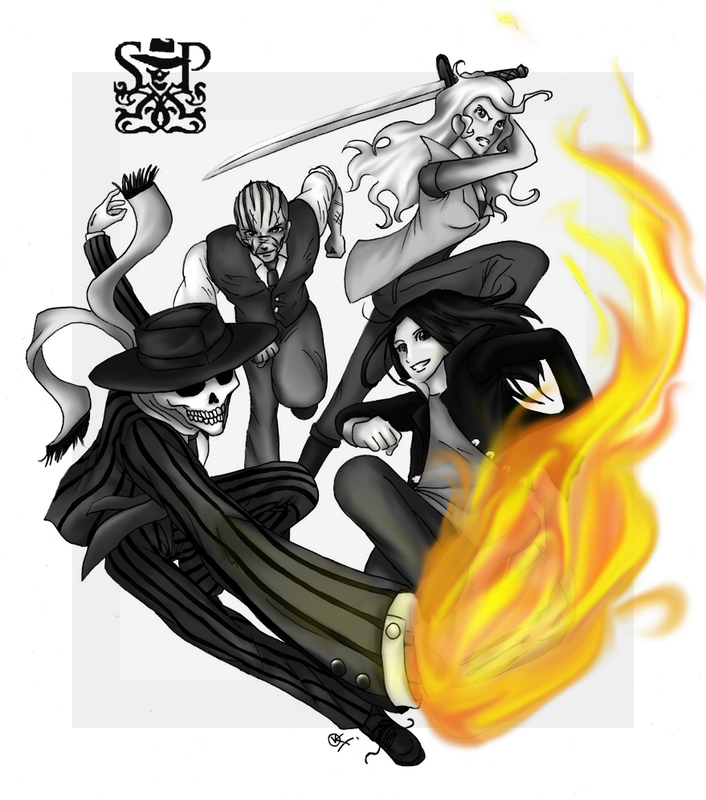 HD Wallpaper and background images in the Skulduggery Pleasant club tagged: skulduggery pleasant valkyrie cain ghastly bespoke tanith low fire. 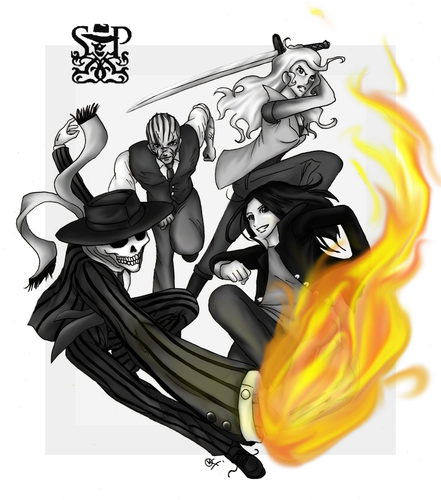 This Skulduggery Pleasant fan art contains anime, komik, manga, kartun, and buku komik.